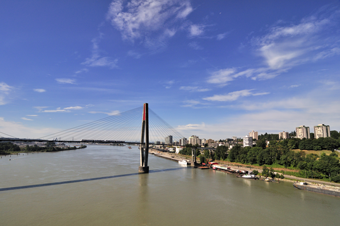 Phase 2 of the Lower Mainland Flood Management Strategy (LMFMS) initiative is aimed at developing a regional strategy to reduce flood risk and increase the flood resilience of communities along the lower Fraser and South Coast. Phase 2 (2017-2020) builds on the work in Phase 1 through a collaboration of governmental and non-governmental entities having responsibilities for flood management in this region. A Leadership Committee is in place for Phase 2 of the LMFMS. The Committee is composed of representatives of partner organizations: two Federal government, two Provincial government, four Local government, four First Nations* and one representing regional entities. Input is also received from the Joint Program Committee for Integrated Flood Hazard Management and technical advisory committees. 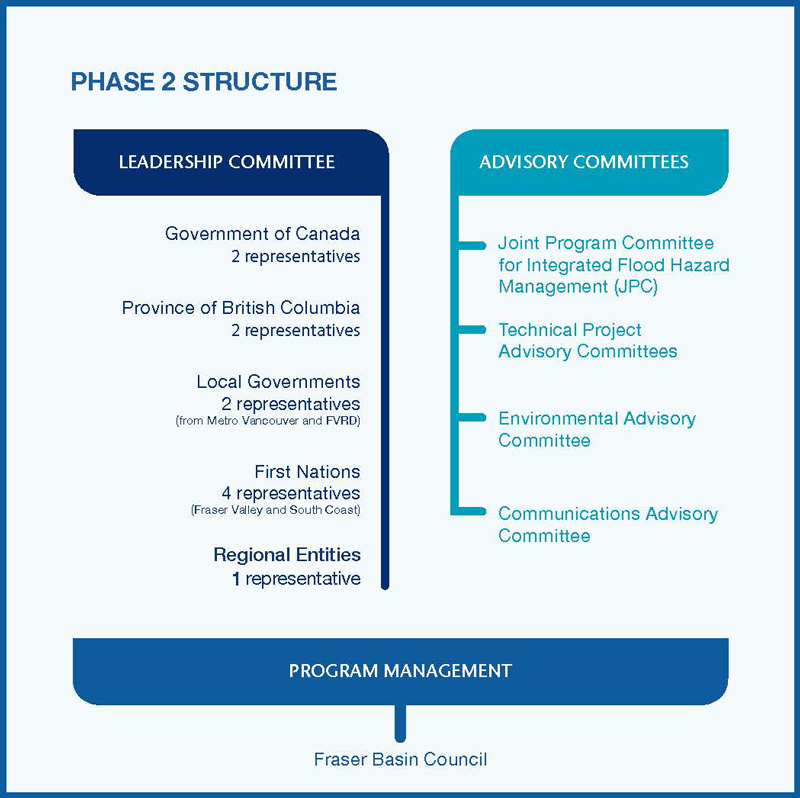 The Fraser Basin Council manages Phase 2 and reports on progress via committees and to the partner organizations directly. The Flood Strategy Briefing is a progress bulletin distributed to LMFMS partner organizations* and published online. If you would like to receive the next issue, please subscribe. 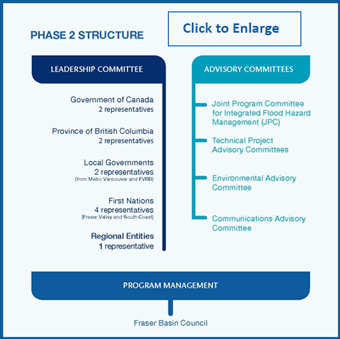 Note to LMFMS partner organizations: The Fraser Basin Council sends the Flood Strategy Briefing to your chief administrative/executive officer (or other contact as requested) and to your staff who serve on the Joint Program Committee for Integrated Flood Hazard Management or other advisory committees. You are invited to distribute the Briefing to all interested elected officials and staff in your organization.